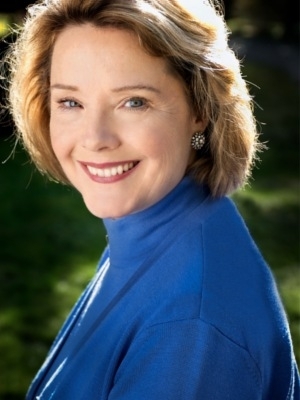 Ellen McLain, the voice of GLaDOS, the artificial intelligence antagonist in Portal (for which she won an AIAS Interactive Achievement Award for Outstanding Achievement in Character Performance) and Portal 2, hails from Nashville, Tennessee. She has worked in theater and opera for over thirty years. Her professional career began on Broadway with Rex Harrison in My Fair Lady and with the legendary Peggy Lee in her show, Peg. Ellen’s credits range from Linda Loman in Death of a Salesman to Mimi in La Boheme. McLain provides voices for many characters in several video games from Valve. Among them are the announcer in Team Fortress 2, and the voice of the Combine overwatch for the Half-Life 2 series. McLain is the only person to have her voice in all the games in the Orange Box. She sang the ending credits song to Portal, "Still Alive" and Portal 2, "Want You Gone", both written by Jonathan Coulton, and sang the Turret Opera by Mike Morasky featured at the end of Portal 2. McLain now lives in Seattle with her husband, fellow voice actor John Patrick Lowrie, who insisted she get a voice demo for years and is therefore responsible for her subsequent fame as the much loved and hated GLaDOS.